A child with a painted Russian flag on his face. A little girl with a Russian flag on her face. hd00:14Happy child with a painted flag on his face. 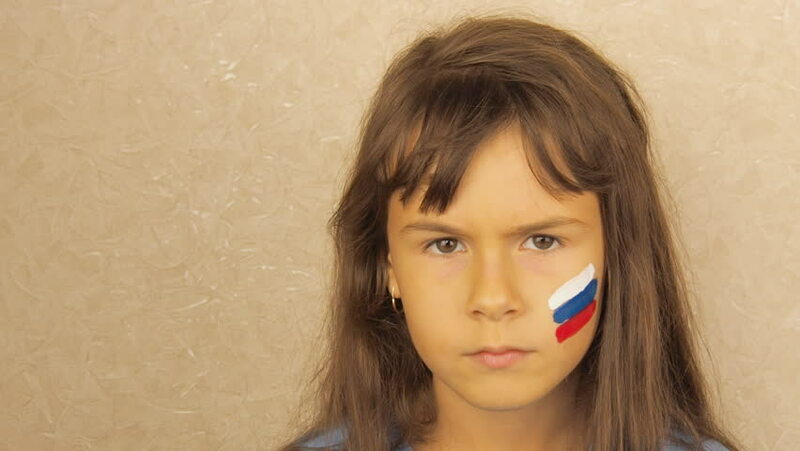 hd00:14Little girl with a painted flag of Russia on her face. hd00:14A little girl with a flag of russia on her face shows a fist. hd00:13Flag of Russia on the face of a child. A little girl with a Russian flag on her face. hd00:24Happy child with a painted flag on his face. hd00:14Aggressive child with the flag of Russia on his face shows a fist. hd00:10A girl with a flag of Russia painted on her face. hd00:10Frowning Beautiful Blond Woman Looking at the Camera on Green Background. Frustrated Young Girl with Long Hair and Sensual Red Lips in Studio.